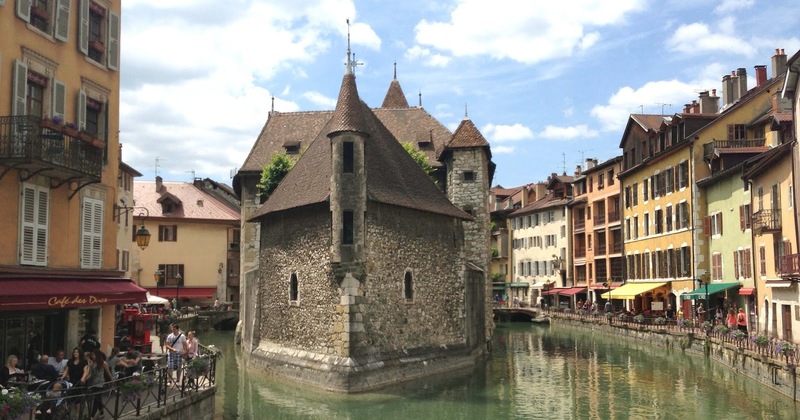 The International Festival of Animation at Annecy is the world’s biggest animation festival. It can be a slightly overwhelming experience; there are so many things going on at once that it can be hard to feel like you really get to make the most of being there. Alongside the film festival is MIFA – the world’s biggest animation marketplace, a brain-boiling congress of industry types furiously buying and selling. But Annecy is an event that we believe that every animator should go to at least once – if only to get a feeling for the sheer size and diversity of the modern animation industry. Aardman and the NFTS are offering an intensive three month Certificate in Character Animation, aimed primarily at graduates and taught by industry professionals at Aardman studios in Bristol. The course is headed up by Loyd Price, Head of Animation at Aardman, with the aim of "bridging the gap between education and industry" and "enabling students to develop the core practical skills needed for them to become competent professional animators and to create believable characters through acting and performance". What Is The Monthly Character Design Challenge? Calling All Character Designers! Why not polish your design skills by entering the monthly Character Design Challenge? It's a bit like the Eleven Second Club, but for character designers. The group already has an astonishing twenty five thousand members - and growing fast. So what is it all about, and how does it work? Here at Bucks we are committed to bringing in regular visiting lecturers from the animation and visual effects industry, to make sure that what we're teaching is totally current and up-to-date. On Friday 29 May we welcomed Framestore's Marion Strunck to teach our students at Bucks. Marion is a graduate of the excellent Animation Workshop in Denmark and an expert in character and creature animation. Every animator has their own workflow, and it was fascinating to gain some insights into how a top London VFX house approaches the art of character and creature animation. Here at Bucks we encourage all our students to visit the international Animation Festival at Annecy at least once. It's the world's biggest animation festival - everyone who is anyone in animation shows up, and there are more screenings, workshops and events than you could possibly attend in a whole year. 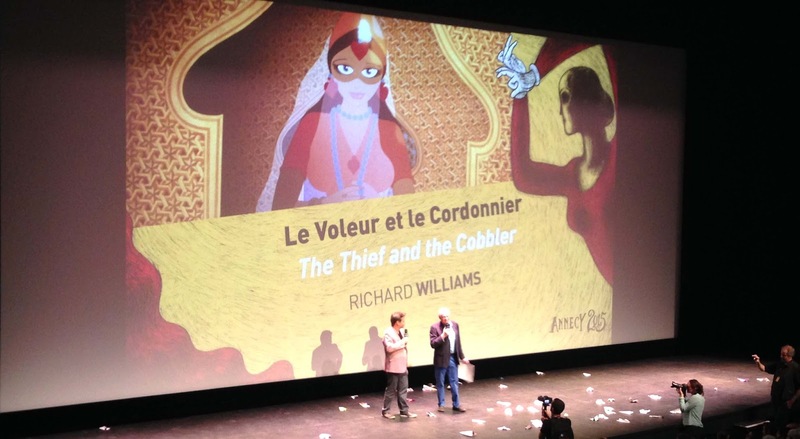 Friday 19 June was the last day of the MIFA marketplace at Annecy, and also a rare chance to see The Thief and The Cobbler (en Francais: “Le voleur et le cordonnier”) original director’s cut – presented by the director himself. Dad got a standing ovation when he came on stage, and he dedicated the screening to the memory of Ken Harris, one of Chuck Jones’ top animators on the Looney Tunes series and the man responsible for much of the animation of The Thief himself. Job Alert - Sheridan College Seek Professor of Animation - MA Required! Sheridan College in Toronto are looking for a professor of animation. The job is a well-paid post at one of the world's most prestigious animation schools. So what's stopping you applying? Most likely, it's because you don't have an MA in your chosen field. To teach in higher education, even in the arts, you need an MA. But where to get one? That's where Bucks comes in. In September 2015 we launch The World's First Online MA in Animation. You can study from home part-time - all without ever leaving your desk. Bucks Animation & VFX student Anton Alfimenko has recently finished a film about his home town of Almaty in Kazakhstan. Anton's work is primarily focused on digital media but he has been taking extra classes here at Bucks in the use of live action cameras - which is something we strongly encourage. Here, Anton uses speeded-up photography to give a sense of the passing of time in his home city. It's a beautiful piece of work, and we congratulate Anton on further developing his own personal skillset and creating a finished, polished piece of work. 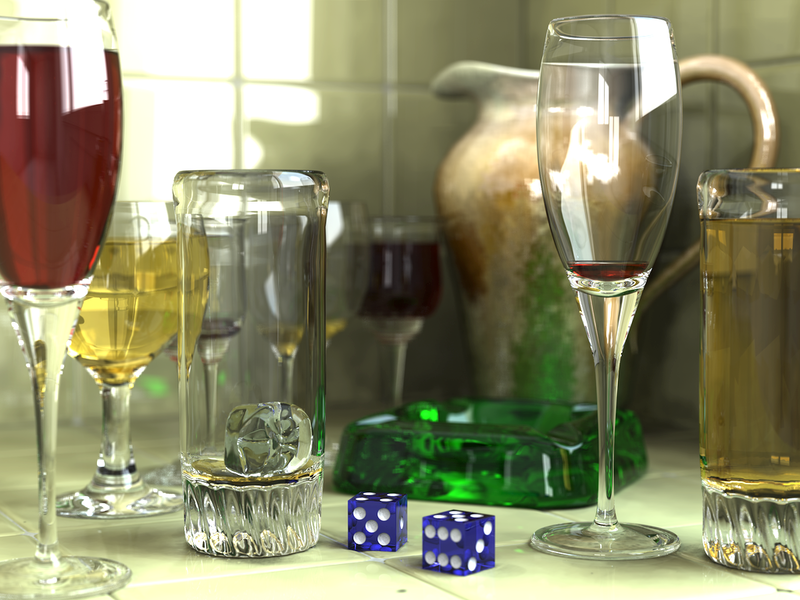 Rendering, as my old tutor at Escape Studios used to say, "is where everything starts to go wrong". Here at Bucks we expect our students to present finished, polished work for their assessed submissions, properly lit, textured and rendered out. But this poses problems - render times can be long and, as deadlines loom, any technical failure can be fatal to a timely submission. So, in the absence of a high-end render farm, how do students render their work on time? The answer is Backburner - the poor man's render farm. Here at Bucks we're always on the lookout for great creature rigs that are capable of producing a full range of facial expressions so that our students can study creature animation and get an excellent performance. One rig that has been giving us good results is the free Shaththan Rig, created by the very talented Revanth Ravi, and now available - free for student use - at Creative Crash. On Saturday 11 July, the BAFTA HQ in London at 195 Piccadilly will open its doors to emerging filmmakers for a day of masterclasses and panels with some of the UK’s major film industry organisations. The classes are hosted by industry experts, aimed at helping emerging filmmakers improve their creative and business skills. Best of all, each lecture/masterclass costs just £6 - cheaper than the price of a movie ticket. It's time for our annual graduate showcase - come to our High Wycombe campus and see the best work being done by our graduating students. We're sure you'll be impressed by the talent on display from this new emerging generation of artists. Creating a believable sense of weight and balance is one of the hardest skills to acquire as an animator. After all, unlike stop-motion animation, our digital creations have no real weight at all: they are just collections of pixels moving around on a screen. The weight that the audience sees must be entirely simulated; the animator must maintain the illusion convincingly and plausibly throughout the shot. One of our first year students, Anthoni Zakheos, recently competed an excellent piece of work showing a complete understanding of the tricks needed to pull of the illusion of weight. The Rise of the Quadcopter - Friend or Foe? The World is stating to embrace the emergence of highly sophisticated flying platforms that will carry high quality camera equipment and allow camera moves that would have been almost impossible using traditional camera gear or helicopters. Often called 'Drones' - with the associated negative connotations from combat operations carried out on a daily basis by larger UAVs (unmanned aerial vehicles) - they are starting to become part of daily life. At Bucks, we are starting to explore the potential of these devices. As a platform for exploring complex camera moves they are excellent. An entry level system will usually carry a 'GoPro' camera and more advanced systems will incorporate Gimbals which allow the camera to be largely unaffected by aircraft movement and vibrations. The larger multi-rotor systems will carry much heavy cameras and are less affected by wind and turbulence. 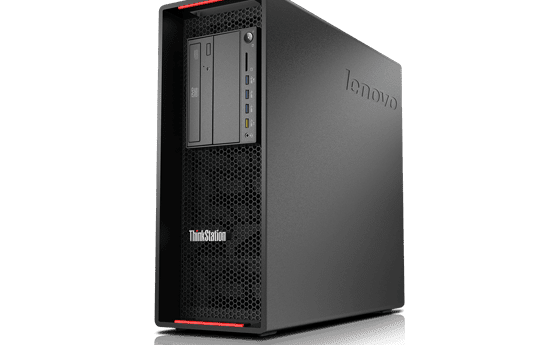 The New Lenovo Animation Workstation at Bucks! As the Animation Courses at Bucks continue to grow, the University is keen to nurture our talented students and make sure they have the best kit to work on. 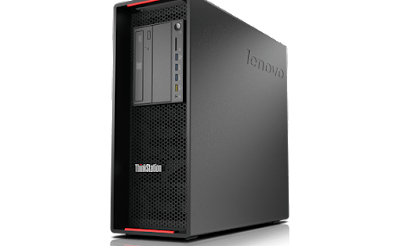 Working with out new IT partner, Lenovo, we are re-equipping our Animation Studios with high end ThinkStations. These will be specified to meet the Autodesk requirements and will include dual screens to allow our students to experience a professional environment. We will now be able to set up poses on one screen and adjust curves on the other. We can have a model on one screen and set up materials or edit UV's on the other screen. Any aspiring 3D Artist should consider a dual screen set up as it makes many processes far more efficient and enjoyable. We are also setting up a dedicated Render Farm on a new local network specifically for the Animation courses! Wednesday 17 June - Our Next Open Day at Bucks! How Did Disney Animators on Frozen Approach Their Shots? Watch Disney's smash hit animated film Frozen and you will find some first class acting, beautiful work which arguably takes the medium to a whole new level of sophistication and skill. But how do animators achieve such great acting? The answer of course is just the same as it would have been at the Disney studio 70 or 80 years ago: if you want great acting, study great actors. Below is an excellent shot progression showing how animators on Frozen used live actiion reference to bring their shots to life. 3D Artist Magazine is now available for our students in the library at Bucks. 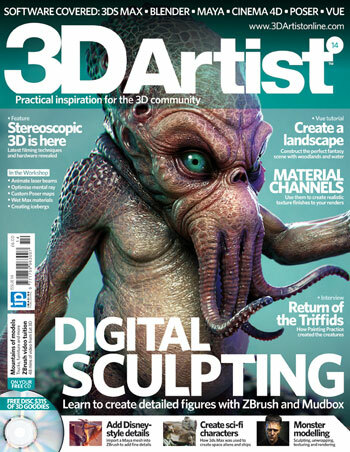 3D artist is one of the leading periodicals for our industry, packed with great information about the latest news in 3D animation and - crucially for students - full of tutorials on how to use the latest stuff. 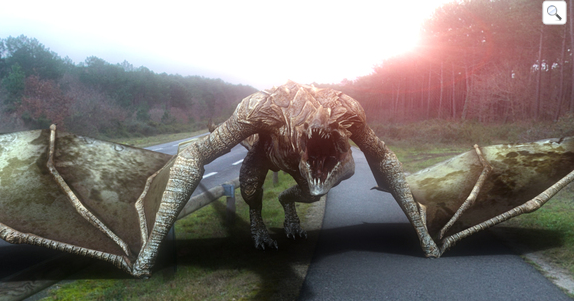 You can learn animation, modeling, texturing, lighting - all the key components of 3D artistry. Here at Bucks we're committed to stocking the library with the very best magazines, books and journals about animation - so our students have access to the best materials possible to support their studies. What free plugins do Maya animators need? Each time Autodesk release a new version of Maya they fix many things that don't appear to need fixing - such as the design of the overall interface, but leave many long-established weaknesses in place. Luckily for us, there are a number free plugins that can easily be accessed by Maya animators to make our lives easier. Here is our shortlist.